Cost to build a ranch house varies greatly by region (and even by zip code). Get free estimates from General Contractors in your city. Cost to build a ranch house varies greatly by region (and even by zip code). How much does it cost to build a ranch house? Ranch-style homes are the product of 1920s architectural innovations, and today they are still a popular and extremely affordable style. They tend to require mid-range materials, larger footprints (due to a single-floor design and traditional attached garage), and feature open floor plans and simple exteriors. For the purpose of this discussion we will look at the cost of constructing a traditional ranch-style home. 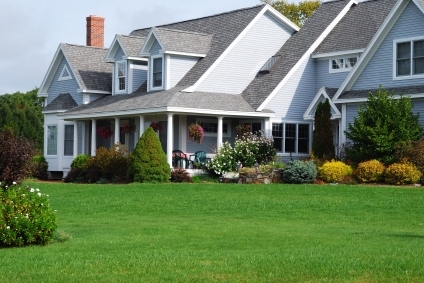 According to home industry statistics, building a 2500 square feet ranch house costs $433,500. This includes mid-range materials, a masonry foundation with full basement, high-efficiency doors and windows, full appliances, and "turnkey" finishing. The building of any ranch-style home would never be a "DIY" project and requires a knowledgeable contractor, an architect, a team of subcontractors, and a cooperative owner to get the job done in a single calendar year. The above figures place this construction at a $173 per square foot cost, though national average stands between $125 to $175 for project managers. This pricing structure assumes that carpenters, masons, and excavators charge an average of $70 per hour, electricians between $65 to $85 per hour, painters between $20 and $35 per hour and plumbers between $45 and $65 per hour. Materials would cost around $219,000, labor would cost roughly $212,600, machine costs would stand at roughly $11,100 and the contractor would take in over $63,000 for the project. Based on figures given the architect on this project would receive from $44,300 to $75,400 for their services. For doing all of the day to day management of the project the average contractor earns around $85 to $125 per square foot. They might also "mark up" supplies and services as well. For example, on the average home construction described here the standard contractor would account for roughly $67,200 in markup and indirect fees. How much does it cost to build a ranch house in my city? Cost to build a ranch house varies greatly by region (and even by zip code). To get free estimates from local contractors, please indicate yours.